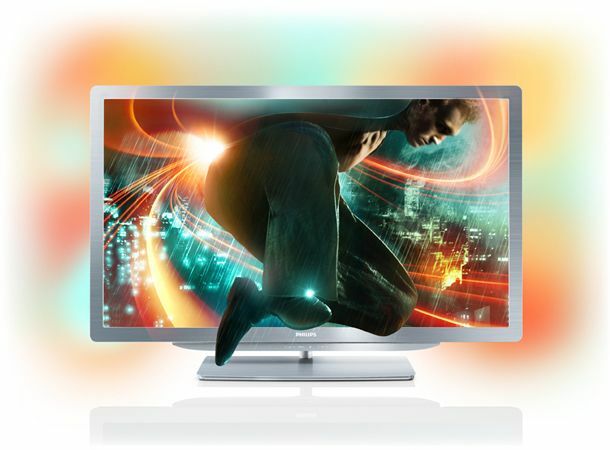 Philips has unveiled its 9000 Series Smart LED TV that it claims is the fastest LCD screen on the market. Measuring in at less than 40mm thick, the 9000 delivers full HD 3D using Active 3D technology and also boasts real-time 2D to 3D conversion. 3D Max technology which can process two billion pixels per second ensures great clarity and sharpness, while the fastest response rate claim comes courtesy of a 400Hz Clear LCD display that has a 0.5 millisecond response time. To give your 3D added brightness, there's 3D Super Resolution while LED Pro technology gives images extreme contrast. In the sound department, a 40W soundstage should do audio justice to your favourite 3D flicks. Jumping aboard the Smart TV train, you'll be able to access movie rental stores, and get access to Facebook and Twitter all which can alternatively be controlled by your smartphone or tablet. If that's not enough to whet your appetite, Philips is also offering full-screen gaming that can be either split screen in 2D mode or a 3D mode where each player can simultaneously see his or her view on the entire TV screen. There has been no confirmation of a release date or pricing for the 9000 Series, but we'll keep you posted as soon as we know more. We imagine it won't be cheap.